Do you run an eCommerce website and store? Do you aim at running successful eCommerce marketing campaigns? If your answer to the questions above is in the affirmative, this article may just be the one you have been looking for all this while. Every marketing campaign starts with keywords. Why is keyword research is so important, you might wonder. Keyword research is essential because it influences your marketing efforts. We live in a digital world where the Internet is the most important and popular medium for reaching your audience. World’s Internet users have passed the 4 billion mark (53% penetration of the global population). That’s crazy! The data translates to the fact that you can reach around one-fourth of the world’s online buyers. You simply need to figure out how to deliver your content to them. There’s a misconception among many online retailers that keyword research is just about SEO. The truth, however, is, keyword research is the foundation of every digital marketing practice. Period. If you don’t find relevant keywords for your site and campaigns, you can’t drive targeted traffic and ROI. I hear from most of the store owners that keyword research is boring. It may be, but to change that and make it more interesting, you need to start thinking like a customer. If you don’t want to do it yourself, you can always take help of SEO consultant or SEO agencies. The best advice I could give is; it’s better to have them do the keyword research for you and make an actionable plan for you. This way, you don’t have to pay the retainer fees and such plan will ensure your in-house team will be working on something that is bound to work. Alright, back to the DIY keyword research ideas for your e-commerce store. (Afterall, a lot of entrepreneurs like to do things themselves 😀). We’ve done some basic keyword research. 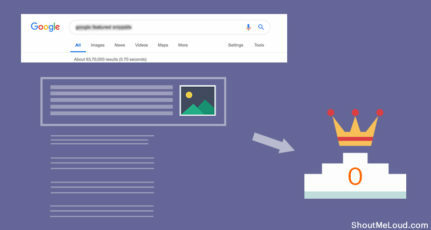 You open Google Keyword Planner (a great tool to find the keywords), download the results, and start working for them. Sounds familiar? What’s negative with this approach? Thousands of other store owners are already working for the same keywords. So, it’s a tough task to rank for these keywords. In this story, I’ll introduce 5 modern and smart keyword research methods that can help you to find “hidden” keywords. These alternate methods are not yet so common and will help you tap the untapped profitable keywords. Udemy is an online course platform which can help you to generate some keyword ideas. Here, courses are created by experts in a niche and copy of each course acts as a rich sales page to uncover hidden keywords. Let’s go through step by step. The most important thing here is the additional filtering options. 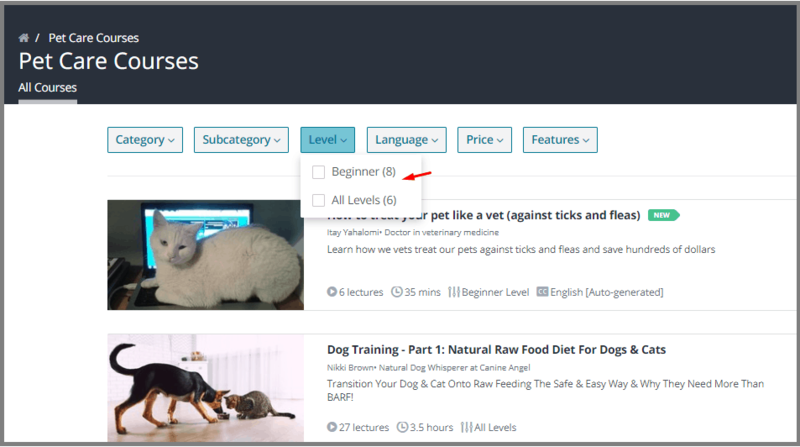 The option “Level” allows you to select the course for beginners or experts. 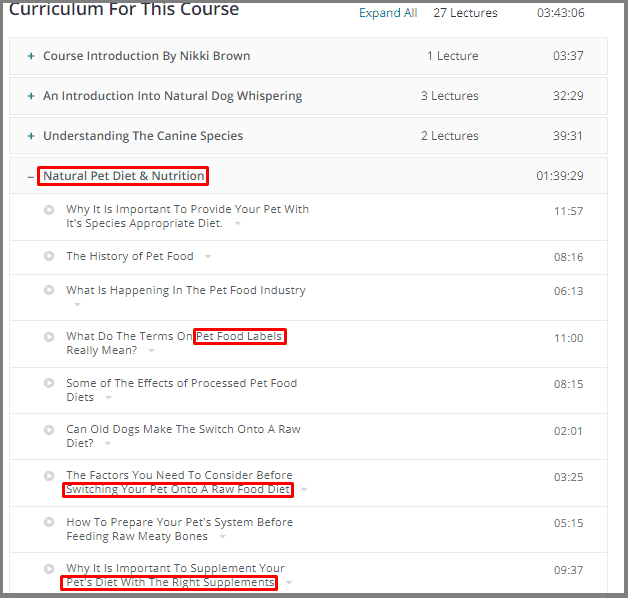 The course description is a great place to gather keyword ideas. Once you are finished with the description, scroll down to “curriculum” and generate dozens of quality keyword ideas. You don’t have to copy these words as they appear. Tweak them to make it relevant to your eCommerce site. 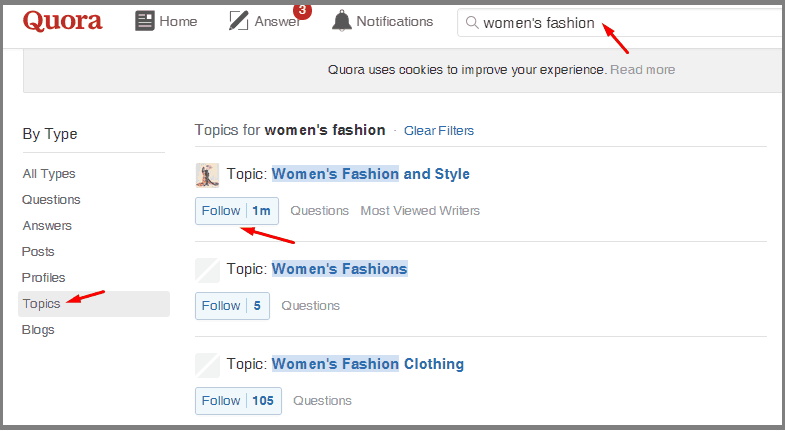 Quora is one of the most effective ways to find user intent keywords. These are real people asking questions and writing answers. I believe that the best key phrases come from users and readers. First, enter your main niche into the search box. Choose a relevant topic that has a huge following. You’ll see new and old questions on this page. Go through the number of questions, and you’ll find the right amount of keywords. I think doing some organic spying to make your eCommerce store successful is okay. 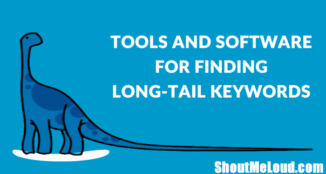 There are some tools available out there to do the same, but SEMrush is my favorite tool to find keyword ideas. Let’s take a look at how to do this. 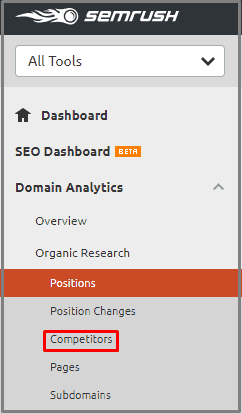 Login to your SEMrush account and enter your competitor’s URL in the search box. Now choose “organic research” from the sidebar. Once you do so, you’ll get the keywords that this site ranks for. Did you say Eureka? Want more? Just click the “Competitors” button. This fantastic tool will show you the similar sites to your query. You can repeat the above process with these competitors to find more keywords. Now select “Keyword Magic Tool” under keyword analytics from the left side menu, and enter your product keyword into the search box. When you filter by “store” and scroll down the list, you can find more long-tail keywords for your product pages. 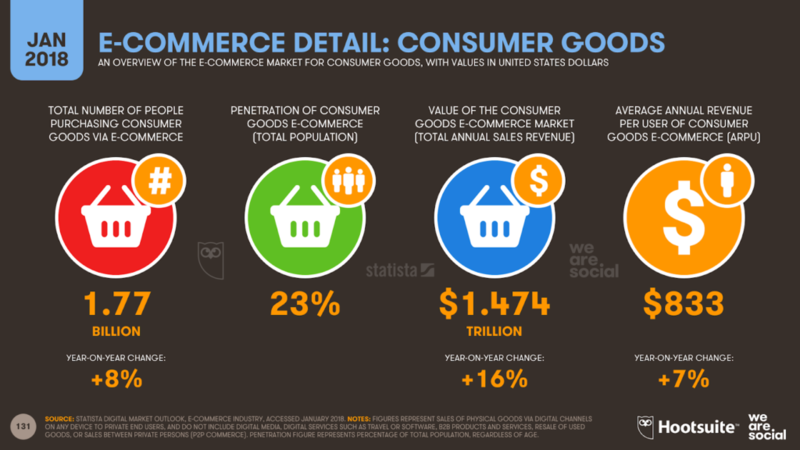 What comes to your mind when I say the word “eCommerce”? I bet it’s Amazon, isn’t it? Amazon is the biggest eCommerce site out there. 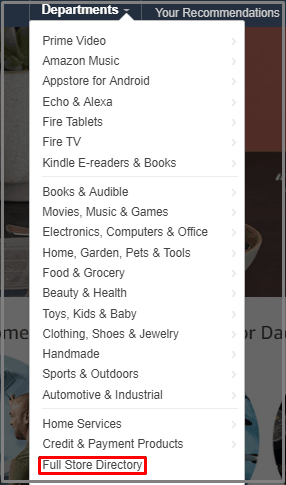 When people need to buy something they start their search on Amazon. So it can be a goldmine to find product related keywords. Let’s see how can you do this. 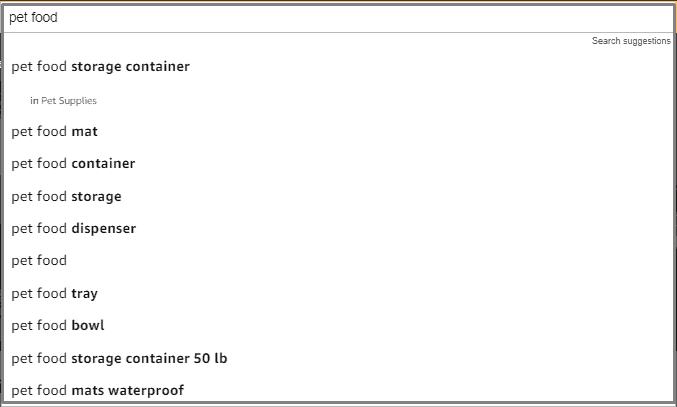 Just go to Amazon and enter your product keyword in the search bar. Amazon suggests what people are searching for, and that can help you get targeted long-tail keywords. To take it a step further, click on “Departments> Full Store Directory”. You’ll land on all of Amazon’s categories and subcategories page. Let’s say you have a pet food store, so you click on “Pet Supplies” subcategory. 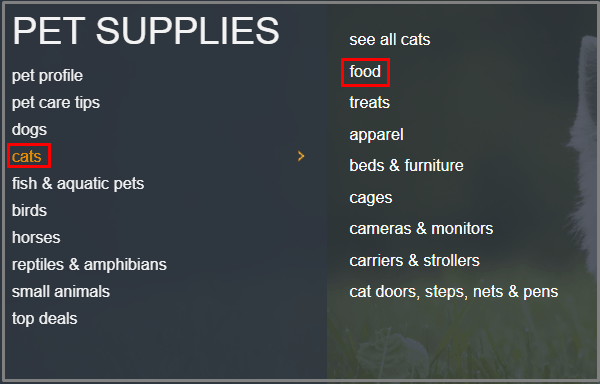 Click on “cats” and choose “food” from the list. You’ll get keywords that Amazon uses for cats food category. 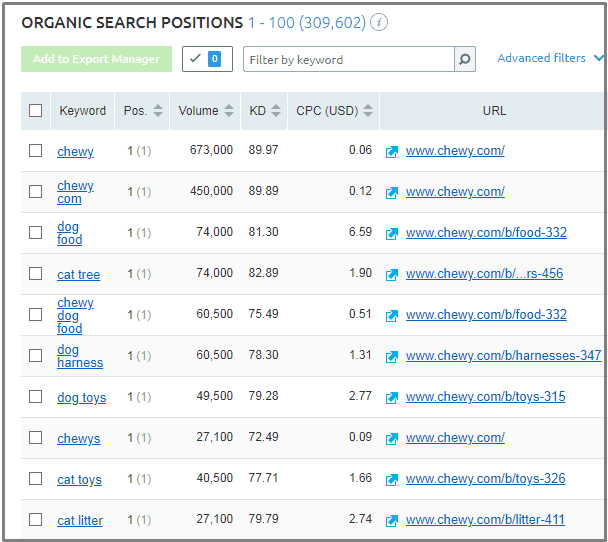 You can consider these keywords for your cat food page. You’ll find products that are similar to your product. Open the product page take an in-depth look at the Title and Description because you can find some long-tail keywords here too. Now it’s time to move on to my favorite keyword research method. The thing I like about Wikipedia is they structurally organize their articles and information. 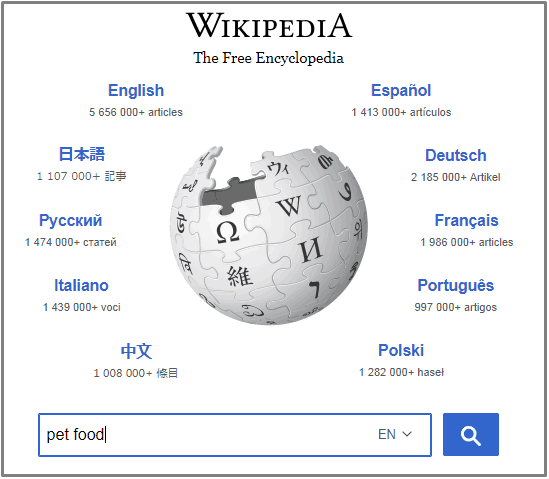 Wondering how you can use Wikipedia for your eCommerce keyword research? Let me explain. 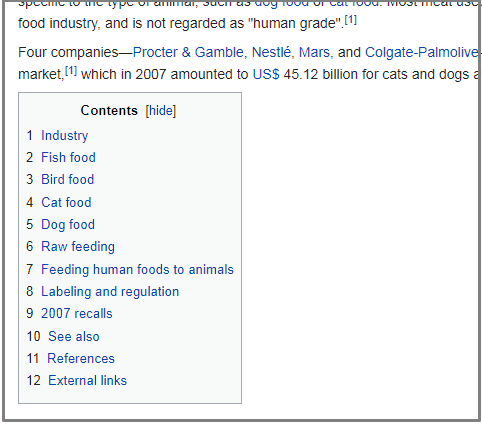 Go to Wikipedia and type your product keyword or category into the search bar. You can also click on the internal links to find more targeted keywords. 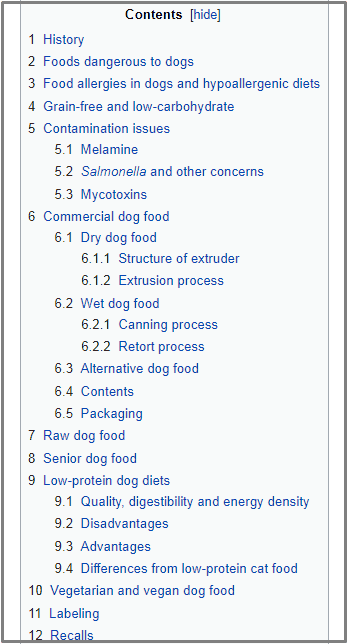 Here, we have a link to ‘Dog Food’. When you click on that link, you’ll find more targeted keywords related to “dog food” as you can see in the screenshot below. 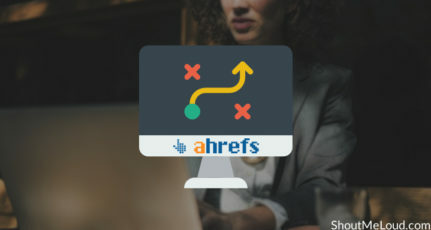 I hope this article has helped you understand that keywords research is much more than typing a keyword in Google Keyword Planner and downloading the result spreadsheet. It needs time and effort. Find the intent keywords that your target customers frequently use to search for products. Understand the search volume of your targeted keywords. Gather long-tail keywords, commercial, and informational keywords. Take a look at your competitor’s website(s) and understand how they place their keywords into the content. Related keyword terms to create blog posts and articles. Collect all your keywords in the Google Sheet to make the best possible choices. 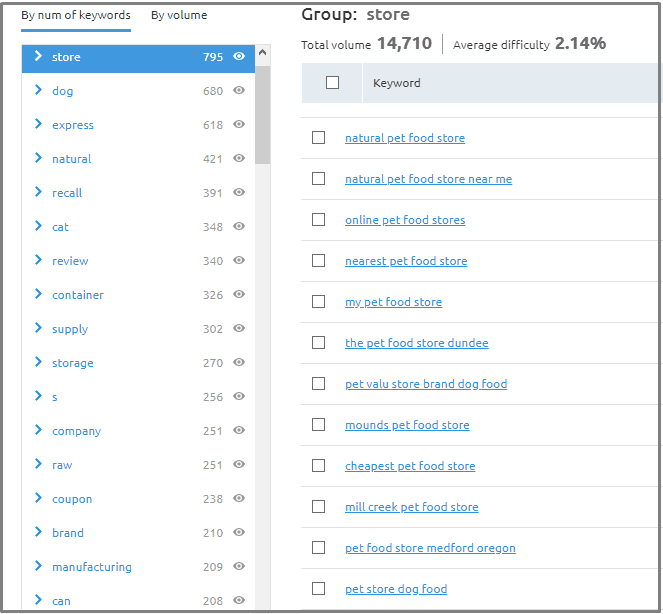 Now it’s time to place these keywords and optimize your store. 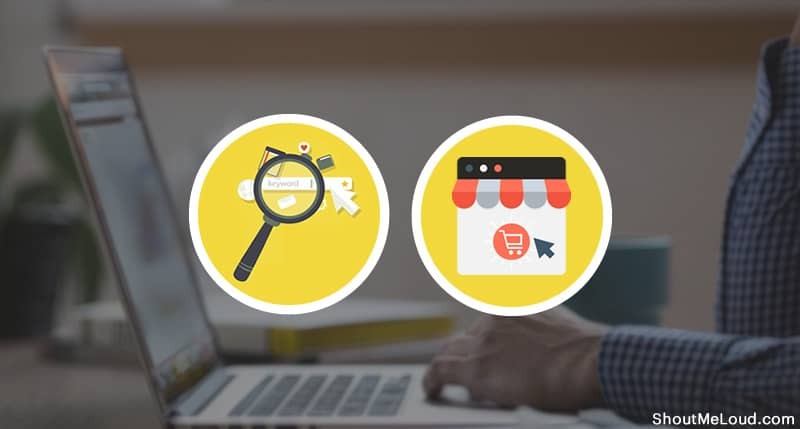 Optimize your eCommerce site’s structure, place your primary keywords into product titles and descriptions to improve conversion, and optimize category pages. One crucial thing, search engine algorithms and customers’ behavior (search terms) change over time, so make sure you keep your keywords up-to-date and relevant. The intent is the most important thing you should focus on while optimizing your pages for the target keyword. Do you have any other keyword research method? Please share your views in the comment section. How Can Content Marketing Help E-commerce Business? I have been using SemRush and quora for my keyword research, but have not tried Udemy, Will try soon, i have answered many questions on Quora related to my topic but not receiving enough traffic. Can please provide me some tips on “how to generate website traffic from quora”.? This article is definitely an outcome of in depth research. i have earlier used quora, for my keyword research. But I think it is only works well on a subtopic. Because the type of keywords we get from quora are basically some type of queries. Paid methods are ofcourse good. i will definitely try Udemy. It is new for me. Great article, Pavan.Really liked it. Thanx for this awesome article, this is really useful for everyone. I really got surprised to know that we can use Quora and Wikipedia as well for keyword researching. 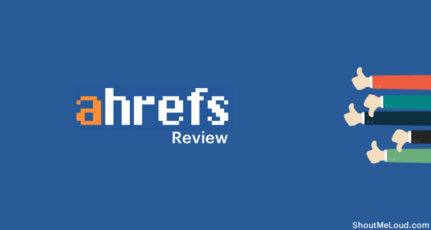 I just want to ask why you didn’t mention about Ahref tool in your article? 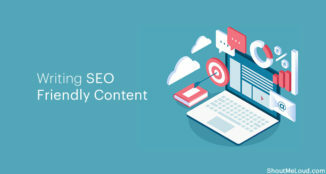 Thank you Pawan for sharing such interesting article, as far as I know SEMRUSH is really good for finding keyword ideas and I tried this before, but I never thought about Quara and Udemy for keywords search. I will be trying this now. Thank you so much for sharing new techniques with us. Great list although I never thought about giving a try to sites like Udemy for keyword research. 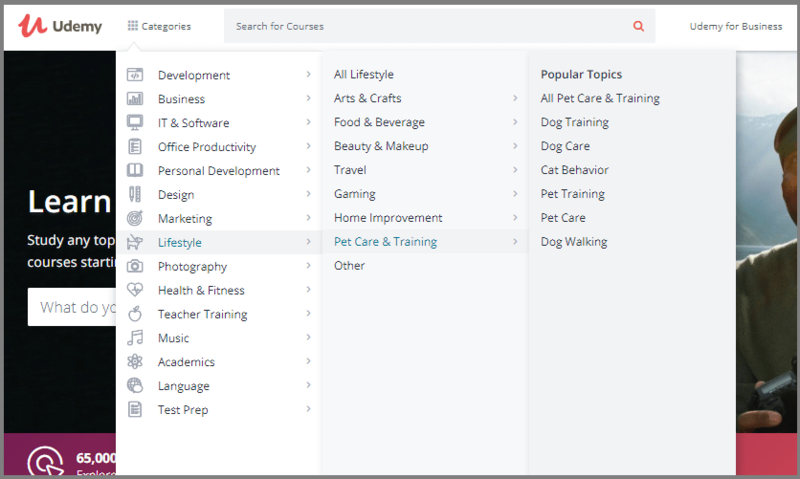 After reading what you said about it, it sounds really like a good idea where one can use use various Udemy courses, their table of contents, course description etc to come up with profitable keyword ideas. I’ll definitely going to give a try to it. 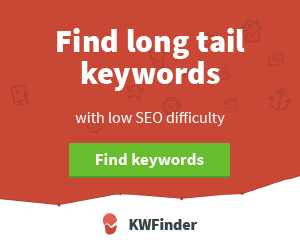 I personally use SEMrush for doing keyword research. 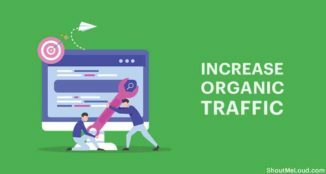 The reason is it gives me the ability to easily come up with long tail keyword with accurate search metrics like CPS, monthly search volume, keyword difficulty and so on. 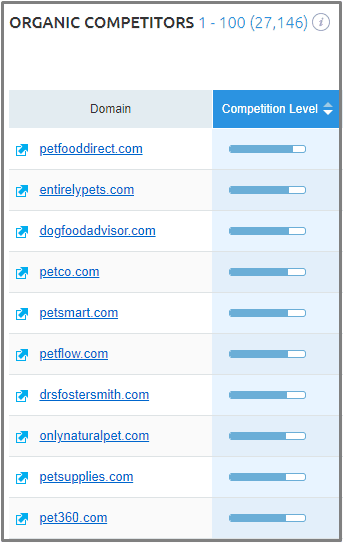 Also you can easily find a list of all the competitors keywords that are generating the most traffic to your competitor sites. I’m glad you mentioned Quora. 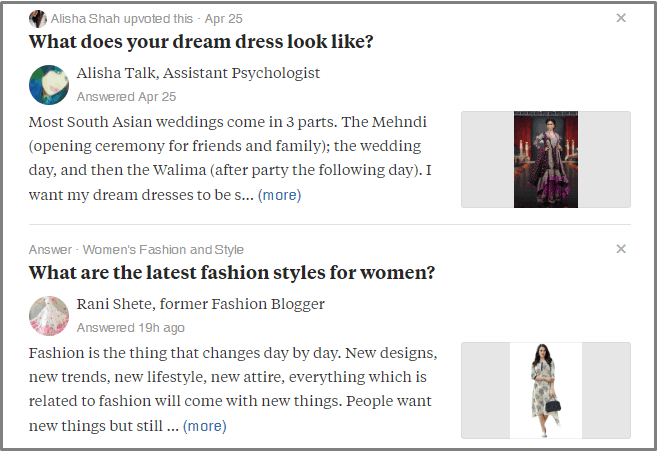 I use it a lot, not only for writing Quora answers but also coming up with new post ideas. 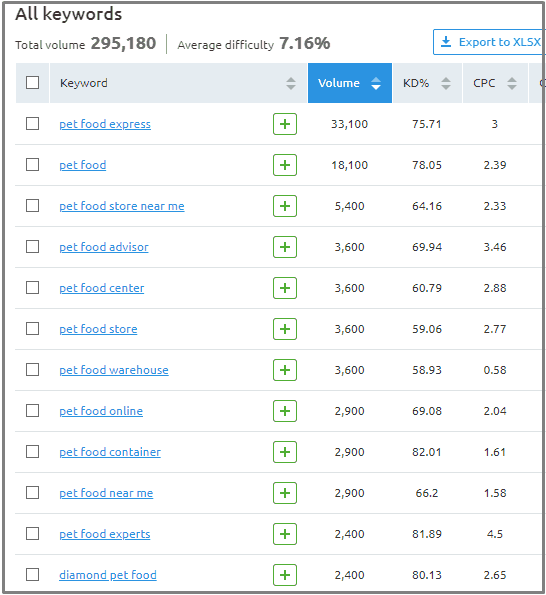 Just make sure to perform a keyword metrics analysis while coming up with keyword ideas using any of the tools you mentioned here. Thanks for the great share Pawan.